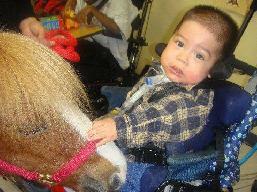 Since 2005, Personal Ponies, Ltd., Inc. 501(c)(3) has helped many special needs children living in the South Florida area by providing a variety of therapeutic services free of charge. Personal Ponies is funded 100% by donations. The majority of funding for our programs comes from the local community, individual donations, corporate sponsors, grants and fund raising activities. Personal Ponies depends on the generosity of individuals in the community, like you, to provide support for children of all ages in need. We have no paid employees and operate with an all volunteer staff. 100% of your donation will go directly to the program and is tax deductible. For more information or questions regarding donations Contact Us. A HUGE THANK YOU TO OUR 2017 SPONSORS & PROGRAM SUPPORTERS! Sun Capital Partners Foundation Inc.
Law Offices of Jay Cohen, P.A.